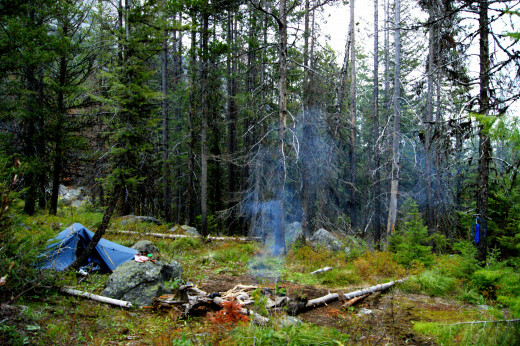 Wilderness camping is all about getting off the beaten path and making your own way in places few people care to go. 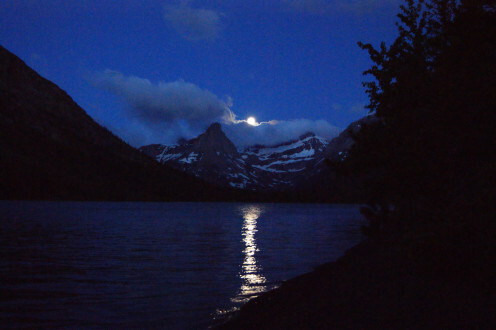 I am on a temporary work assignment in the great State of Montana, and I'd like to share with you some of the lessons I've learned as I have begun to participate in wilderness camping. 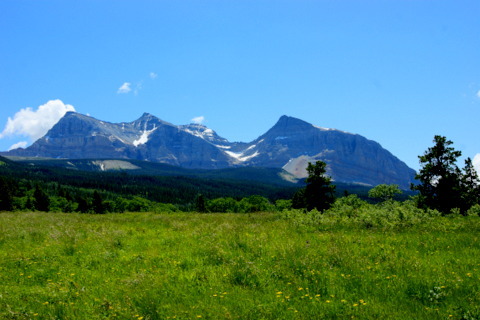 Montana has a great deal of Federally owned land overseen by the Forestry Service and the Bureau of Land Management. 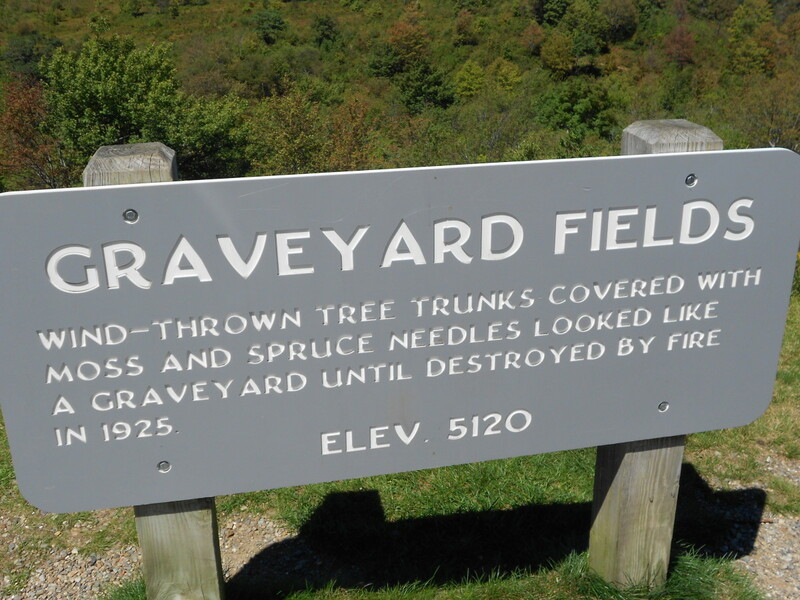 This land is open to hikers and campers. I have hiked for hours into canyons in the Bitterroot Valley in Montana and camped above the waterfalls of creeks running at full capacity as a result of the spring snow melt. Many National Parks allow wilderness camping, although you may need to secure a permit prior to your trip. Wilderness camping does not need to be a long trip. Most of my experiences have been for one or two nights. In many of the places I go, there is actually a path to follow. I have simply packed my backpack, put on my shoes and headed down the path. When I had hiked as far as I wanted to go, I found a suitable site for my campsite. This is the cool part about wilderness camping. You can pick a spot where no one has camped before. There is no fire pit, no sleeping platform, no pit toilet and no shower. 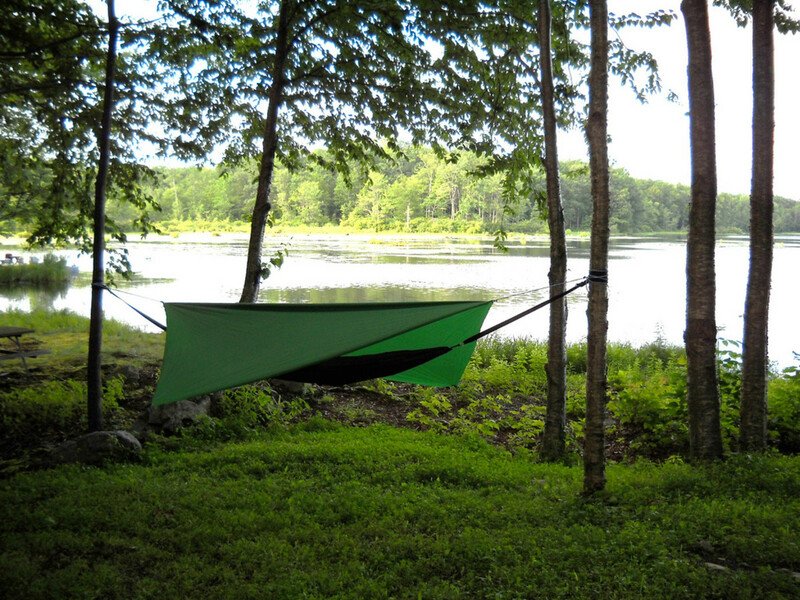 Of course, there have been times when I have found a previous campers site and used it. It seemed needless to set up a new site when one was available. Really, all this means is that there was a circle of stones in which to build a fire. If you want to head out on your first wilderness camping experience, here are a few things you will want to pick up for the adventure. Lightweight sleeping bag appropriate for the temperature in which you will be camping. Down packs smaller, but if it gets wet, it just won't work. Synthetic fill will continue to keep you warm even if wet. It doesn't pack as small, but it is worth the peace of mind. Sleeping pad or mat. There are a variety of inflatable sleeping pads that pack down into a small bag. These can be carried inside your backpack. See the add below on this page for the Thermarest XLite. It is what I use and it has significant insulating value to keep the cold from the ground away from you as you sleep. Pillow. Thermarest and other companies carry inflatable pillows that take up very little space in your backpack. Use one of these or just roll up a sweatshirt and use it as a pillow. Lighter. 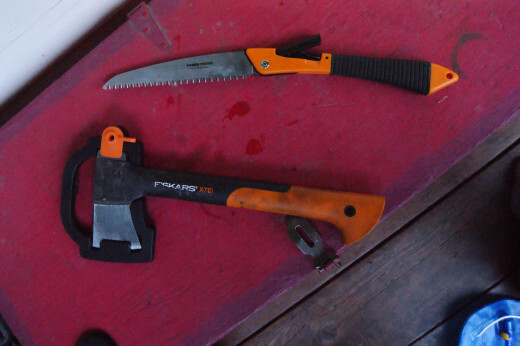 Save the flint and magnesium fire starter for after you become proficient with it. Take a bit of paper for starting your fire. Later you will learn about natural tinder. 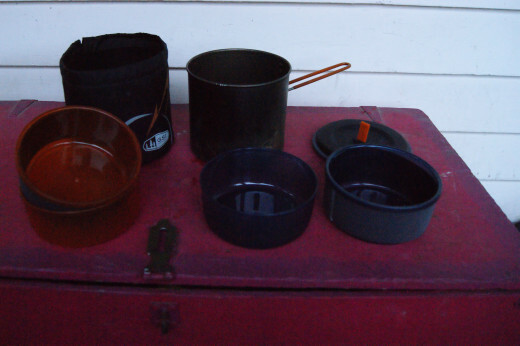 Compact cooking pot, bowls and utensils. 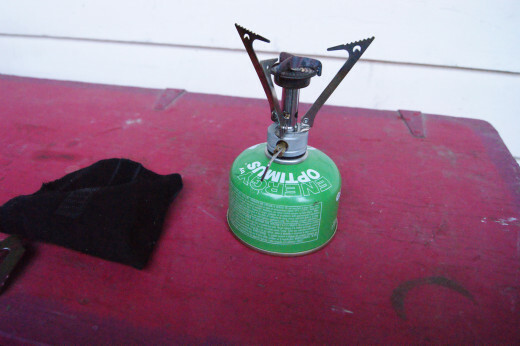 Portable cooking stove and gas. This is not the stove you would car camp with. Mine is called a Pocket Rocket and fits in my pants pocket. Food to cook. You will want a good healthy, substantial meal after your hike. To conserve space and minimize weight, take dry ingredients pre-measured in plastic bags which can be mixed with boiling water at mealtime. Food that does not require cooking. Peanut butter, bread, cheese, energy bars, snack mix and dried fruit are good for energy and are filling. Cheese is good out of the refrigerator for a long time. It might get a little soft and oily, but it does not need to be refrigerated. Water. 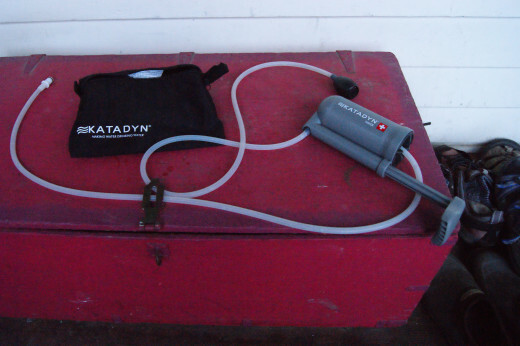 There are a number of water transport containers by companies such as Katadyn, Camelback, Platypus and others. 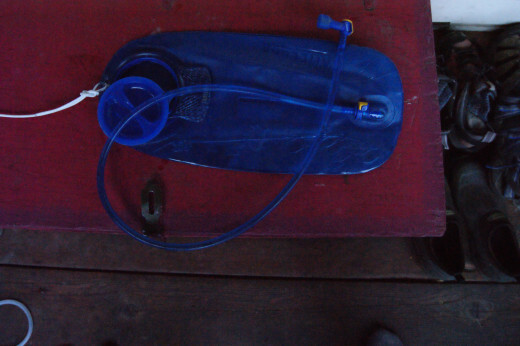 But these may not provide enough water for your outing, so consider a water filter system. They are small and very effective.The same companies listed above for water containers, carry water filters as well. Clothing. Be minimalistic here. I take extra socks and an extra shirt for one or two nights. Hiking boots/shoes and socks. Don't skimp here. Research and shop around. Good socks are as vital as good boots. Tent. If you will be camping all year round, including in the cold and snow, you will need a four season tent. Otherwise, a good three season tent will do the trick. A one person tent with a good rainfly will be enough room for you and your gear. I put my backpack and boots outside the tent under the rainfly. So far this has worked well. Flashlight. There is no replacement for a good headlamp. It frees your hands up for building the fire, cooking, collecting firewood and fighting with bears. Lumens is a measurement of the total light a flashlight will produce. Candlepower is a measurement of the concentration of light in the beam. High candlepower is good for spotting a particular object far away. High Lumens will light up a general area. One will not do a good job of the other. Keep in mind that the higher the lumens, the more battery power is required. Even using lithium batteries, my 224 lumen flashlight will only last 5 hours on high beam. Once again, I went to Ace Hardware for my hand held light. My Petzl Tikka XP headlamp is compliments of my son. Food bag and twenty-five feet of rope. If you live in black bear or grizzly bear country, you will need to hang your food and cooking/eating ware at least ten feet off the ground and four feet from the nearest tree trunk. This is very serious. Do not sleep with food and/or the smell of food in your campsite. First aid kit. This should contain items for cuts, scrapes, burns, bug bites and sprains. If you have medications you take regularly, put them here. Bear spray. If you live in an area where there are black bears and/or grizzly bears, bear spray is a must. It is the same pepper spray used to protect oneself against a human attacker, except it is many times more potent. It has been tested and found effective in deterring a bear attack. It also will work on other animals such as wolves and dmountain lions. Don't pack too heavy. Look at each item you plan on putting into the backpack. Ask yourself if you really intend to use it. Books are one thing I had to learn to leave behind. I thought it would be nice to sit in the tent and read, but I found I never did. So now I leave the book at home. Another way you can over pack is by carrying too much water during your actual hike. You only need enough water to get you to your destination. Then you can filter all you need while there. Water weighs a little over eight pounds per gallon. That is a lot of weight. One liter is only about two pounds and should get you to your campsite. If you run out during the hike, just filter some at that time. Don't pack top heavy. If you put heavy things on top in your pack, the weight will pull back on your shoulders. Put the heavy things at the bottom so that your hips carry the weight. Your shoulders should only keep the pack from falling backwards. They should not bear weight. Your posture while hiking can either make the hike a pleasant experience or an unpleasant one. First, make sure you have your hipbelt cinched tight and that all weight is resting on your hips. Your shoulders should not be carrying any load. Keep your back slightly arched. If you bow your back out, this will cause your shoulders to lift up on the straps and thereby bear some of the weight, which you do not want. Drink plenty of water while hiking. Do not wait till the hike is over. Eat something light at regular intervals. As I am going through the summer here in Montana, I am getting a lesson on wildfires. Many are caused by humans while others are caused by lightening. Sparks from campfires can easily drift up to a mile and may land in some very combustible location. I have been rethinking the part that a campfire plays in my camping experience. Big, blazing fires that go on late into the night are certainly not necessary. Food can be prepared over a portable cookstove that could fit in one's pocket. The pleasure of a campfire isn't worth the risk of burning thousands of acres of wilderness. At the very least, my campfires will be kept small and for a short duration. Of course, when the fire danger is too high, campfires are illegal anyway. 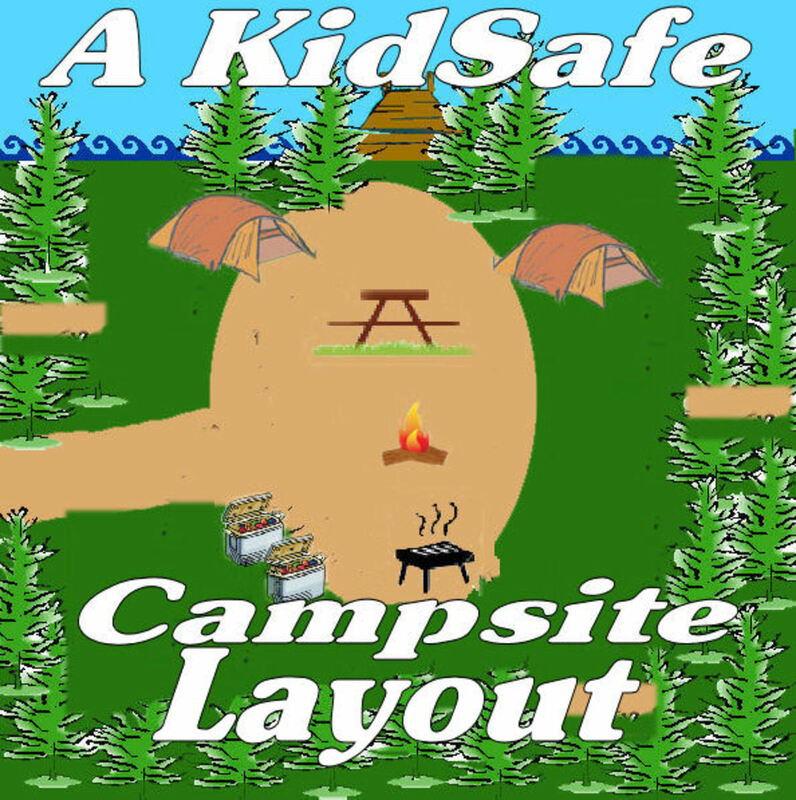 You too might consider making changes in your camping with regard to campfires a s well. My time in Montana has been greatly enriched by my commitment to learn the skills of backpacking and wilderness camping. The benefits to me are that I have been able to see places that relatively few people see. Also, peace of mind and physical fitness are a result of this endeavor. I'd like to encourage others to try this wonderful way of seeing the world around us. Backpacking is one of my absolute favorite activities. I love the freedom of it and the life lessons it has taught me: to be prepared, to look after one another, to take quite moments to enjoy life and nature, to never give up, to be resourceful, and to tread lightly. A week ago I did an ice climbing trip on the backside of Yosemite. It was one of the most amazing experiences of my life. Adventures like that stay with you forever. I have the same water filter and was wondering if you've ever filtered really disgusting water with it. For instance, stagnant water, water found near urban areas, or water near livestock. I used it on some almost stagnant water on a very dry riverbed. The taste of the water was so bad, I couldn't swallow it. I guess my question is, is how much do you trust it? Have you ever had such questionable water that you added a chemical treatment on top of filtering it? I know it will filter out all bacteria and cysts, but under what circumstances should I worry about it not filtering out viruses? Hi Deb. Thanks for commenting. 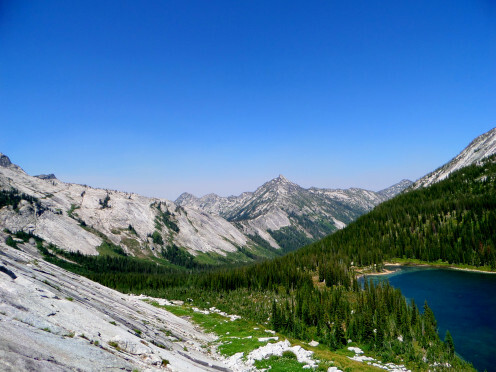 I've done a couple more backpacking hikes since writing this hub and you are right. It is a great way to go. This is a great way to go. I have done many, many walks, and it sure can't be replaced by anything else. Thanks Eric, good to see you. Come on, lets go camping. Haha thanks for reading. 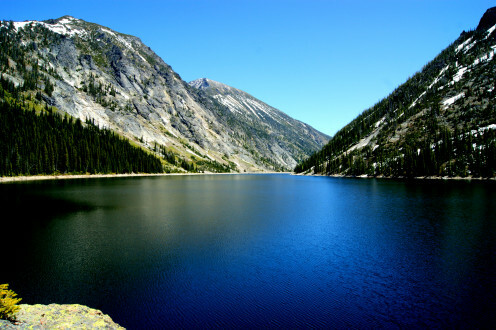 Outbound Dan, Montana is a great place for hiking and camping. You are right though, it is hard to leave. Thanks for reading. Chef-de-jour, thanks for reading and commenting. I'd love to do some camping in Scotland. Thanks for the votes and share. Hi Becky, a kindle is a great idea. I have the app on my phone, so I could rea that wa until the battery dies. Thanks for the idea. Randy, thanks for the comment. I also have a knee issue, but my knee brace works wonders. I'll be in the market for a used travel trailer this fall, so your articles will be a great help. Are you single? LOL just kidding. I fell in love with your photos and adventure. You have a new fan. Voted this Hub Up! If you decide you want a book but don't want a bunch of weight, try a Kindle. Mine weighs about 10 oz. It has room for over a thousand books, and if you get in wi-fi range, you can check in with your family. 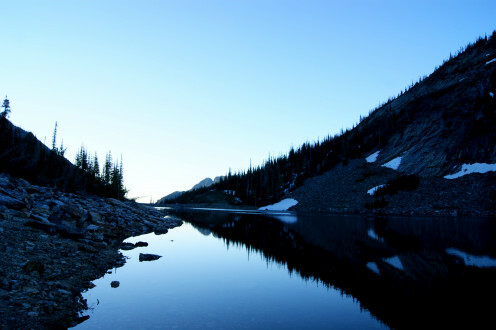 Someday I hope to make it out to Montana for some backpacking. I have the maps, I just need the time to go. I'm afraid if I go though, I may never come back East. This is a good packing list for someone venturing out into the woods, especially for the first time. I really enjoyed this article. Beautiful photos and practical tips, plus personal experience equals a job well done. I've camped a little in my time here in the UK - Scotland, our wildest country has some nice places but not as wild as Montana! A very concise guide for beginning and veteran backpackers, Chris. Unfortunately for me, my old knees aren't what they used to be. So I have to limit my wilderness experiences to RVing or camping in my own woods these days. Rated up, of course.